Following on from last week – where we looked at Jailbreaking, the processes, the challenges and the teams involved – this article looks to peer into Cydia, an alternative marketplace for Apple-centric devices. Looking at its creation, its place in the Jailbreaking scene and its revenues, we hope to shed some light on developers who cater for owners of Jailbroken phones. 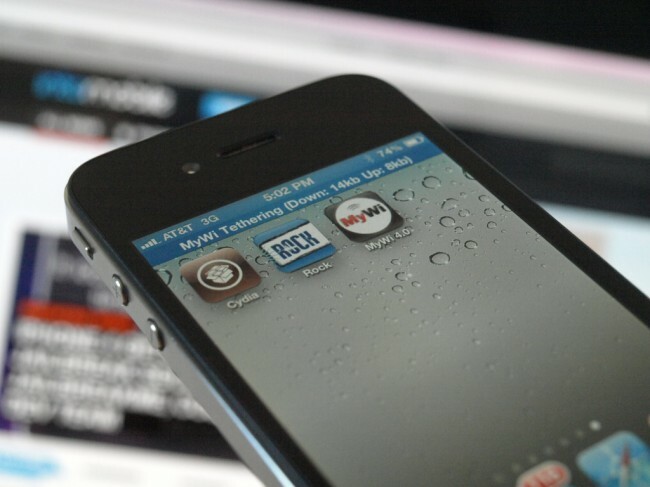 If you own a portable Apple device and were to set about jailbreaking it today, no matter the method used to do so your iPhone, iPad or iPod Touch will receive its first Jailbreak “app”, the most powerful of them all; Cydia. The creation of Jay Freeman a.k.a Saurik, Cydia is a to jailbroken devices what the App Store is to a standard iPhone or iPad. Served via a graphical user interface, Cydia provides users with a choice of applications, tweaks and modifications that can help extend the capabilities of their device. Existing as more of a service than an app, Cydia collates APT repositories (an interface that can facilitate the installation and uninstalling of applications, tweaks and settings), that are handled completely by third parties, decentralising the platform and making it easily available for a developer or a host to make available the apps that they have been working on or wish to help share. With Apple’s App Store generating revenue in billions of dollars, the Cupertino-based company is understandably wary of Cydia as an alternative marketplace, which can only stop the installation of the app if it can physically block the Jailbreaking of the device in the first place. Despite improved protection and the implementation of various methods to restrict access to unauthorised parts of the iOS platform, both the iPhone Dev Team and Chronic Dev Team are reportedly close to unlocking the iPhone 5/iOS 5 before it has even been released. 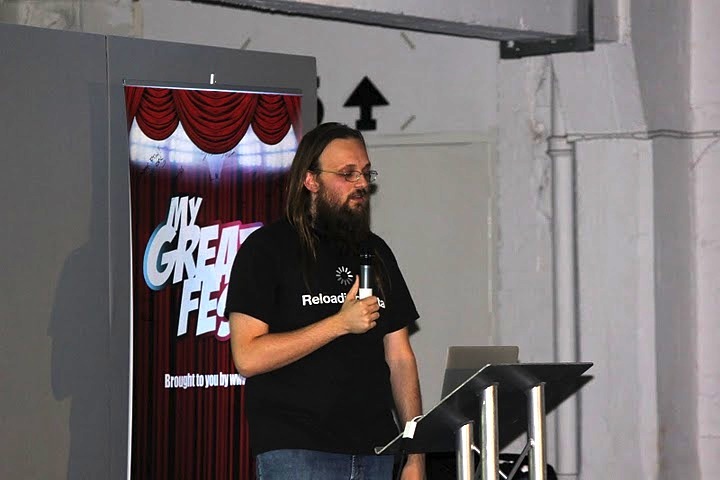 On September 16, Jay Freeman was in London speaking at the first Jailbreak convention MyGreatFest (now JailbreakCon). Taking the stage to address frequently asked questions and provide an insight into the development of Cydia, one question that many wanted to know was how Cydia came to be. Freeman was part of the Okori Group with Brian J. Fox and Alexander Guy and they both had an iPhone, in fact one of them was unlocked, despite being just months after release. Fox, Guy and a couple of friends kept telling Freeman “how cool it would be to have an Apple iPhone”. At the time, Freeman owned a Nokia 6340i that he loved because he “could go to a movie and program it to remain silent for two hours, set it so that only his family could call him in the middle of the night and allow work calls only on that particular night as he was on call” – he saw no reason to get an iPhone. However, when Freeman began working on a car diagnostic project that required the utilising Linux on ARM-based components and coming to the realisation that although the iPhone wasn’t able to do the things he wanted, there was the possibility that he could fix them, he decided to get an iPhone. With his iPhone, the three Okori employees started to work on mobile software that would be cross-platform. Freeman’s began to bring Java to devices via JocStrap – leading him to create his own repository for his Installer that could be accessed for his work on the iPhone. However, Installer was lacking, it could not load libraries that he wanted to use, so he set about introducing ways of loading necessary libraries via APT packages. Researching the iPhone Toolchain from Nightwatch, a key component in the jailbreaking of devices at the time, Freeman came into contact with Jonathan Zdziarski of the iPhone Dev Team, so that he could help deliver tools for jailbreaks. Whilst he was developing tools and repositories, it was only when a Jailbreak developer from Qatar by the name of Yousseff Francis, creator of tools including YourTube and Celeste, convinced Freeman that his iPhone work would be useless without a graphical user interface (GUI) for end users – that Freeman reworked his tools and the first version of Cydia was released a week later. Over the years, Freeman has adapted his work to play nicely with different jailbreak tools, incorporating features like Amazon and PayPal payments, the saving of important user data and the ability to migrate purchases between devices. Cydia is now used by millions of users worldwide. As of August 2009 the marketplace boasted 4 million iPhone and iPod Touch users, which at that point in time was around 10% of the total people with and iPhone or iPod. It would be easy to suggest that one in every ten iOS devices is Jailbroken but without confirmed numbers and a dedicated process of elimination on Freeman’s or Flurry’s side, it would be impossible to confirm. It might be difficult to assess the number of users but it’s wise to refrain from asking Freeman how many “apps” there are in Cydia. The person [asking how many apps there are in Cydia] normally has a weird definition of the word app. My new answer is…..4. That is my official answer even when it’s not quite right. There are actually very few apps that are in Cydia, where there are apps comparable with those on the App Store. If an App Store is a store for apps, then an app has an icon that you open; you can use it, you can close it. Things in Cydia don’t. SBSettings does not have an icon, things like PreferenceLoader don’t have anything but add a feature to something pre-existing and loads different mechanisms. Themes are certainly not apps, they are data. This fundamental misunderstanding leads to many people asking if they should put their app in Cydia over the App Store. Many apps, tweaks and settings on Cydia are free but developers also have the capability to charge for their applications with Freeman introducing a simple payment system in March 2009, taking a 30% cut on any app purchase made via the Cydia Store. As demand for iOS devices continued to grow, prompting an increase in users wanting to remove restrictions from their devices, the best apps were quickly identified and developers began to price their creations in order to profit from their tweaks. By April 2011, Cydia had $10 million in annual revenue and 4.5 million weekly users, leaving Saurik’s company SaurikIT with $250,000 in profit after taxes annually. 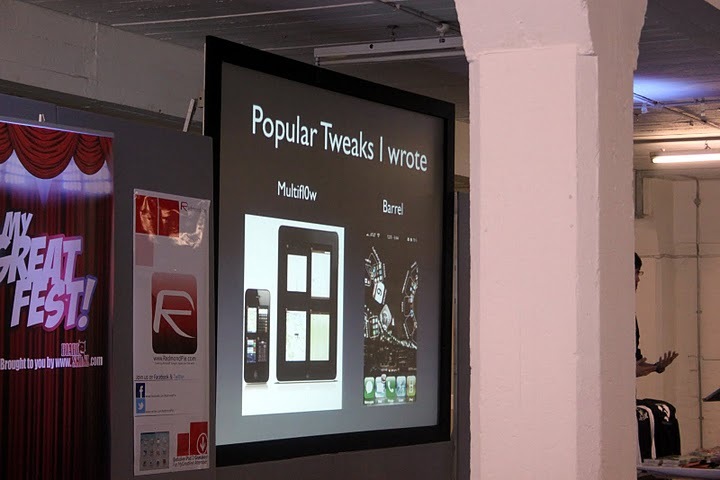 Also speaking at MyGreatFest was Aaron Ash, creator of two popular tweaks available on the Cydia Store. The tweaks (not apps), multifl0w and Barrel, aren’t launchable per se, they exist to provide additional functionality to Apple’s iOS platform. 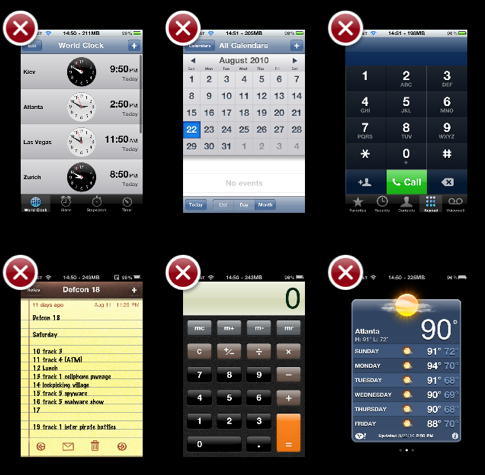 Multifl0w is a a tweak that enables iPhone, iPad and iPod Touch users to mimic and implement an iOS-style version of the “Cards” multitasking feature incorporated in Palm’s/HP’s webOS software. I was originally interesting in video game modification and was involved in the video game modding scene. A friend who owned an iPhone was getting excited about the introduction of the App Store on the iPhone; that’s really why I got an iPhone. I learnt Objective C, I had an iPhone and a desire to make stuff. There was a problem with that. At the time I was under 18, so I was unable to join Apple’s Developer Program so I started to make stuff using Apple’s simulator but I wanted to use it on my phone. I did some research and when you Jailbreak, your stuff is free. If you write a program you can run it on your phone without having to get Apple’s signature for it. The reason I got into Jailbreaking was because I was under 18. One of my friends in high school had a Palm Pre but it has this multitasking interface that I thought was really cool. I wanted this on the iPhone – it doesn’t even have multitasking. So, I started working on it. Not owning a Mac and finding it almost impossible to test his apps using SDK’s on Windows and Linux, Ash researched his options and soon found himself looking at his iPhone for development options, which could load the entire toolchain with just a few downloads and button presses via Cydia. It took Ash around three weeks of development before he published multifl0w, submitting it to Cydia with a $4.99 pricetag. Ash says that in the following three weeks, he continued to add and fix code to improve his tweak as people began to download it. The tweak gained in popularity, hitting many of the major technology websites (including The Next Web) but as it was his first app, Ash didn’t keep track of downloads and whilst he still has many downloads each week, sales have begun to level off. That didn’t stop Palm taking notice of the app. About a month after multifl0w was released, Ash received a call from Palm. One the company’s legal representatives called him at home, speaking to his parent to ask Ash to stop selling his tweak within two weeks from when he received the call. The call from Palm’s lawyer was an “or else” situation. I had one mention that multifl0w was similar to webOS multitasking so I removed that from my website, and never heard back from them. At the time HP was buying Palm, so they have had bigger issues, but I was also under 18 at the time. I believe it would have been more difficult for them to sue a minor, plus it may have given them some very bad publicity. After multifl0w was released, Ash looked to make the iOS Springboard (the standard application that manages the iOS home screen) more fun and gaining inspiration from the Compiz and Beryl application effects on Linux, set about making a new tweak (mostly in his Economics class) that would stylise navigation between homescreens. 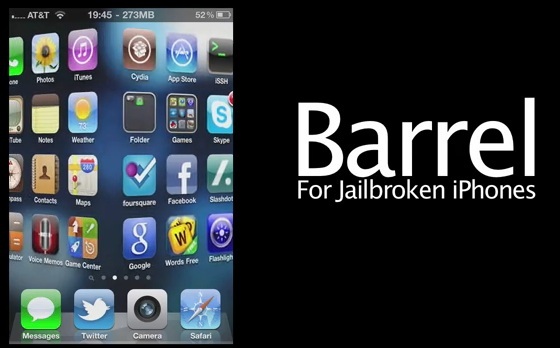 The Barrel tweak was released on the Cydia Store for $2.99 – this time Ash did log the number of installs of his tweak. At the time of writing, the number of unique Barrel installations sits at 4,031,809 – yes, four million. Only 1 in every 100 downloads is paid. Piracy will always be there, it’s unstoppable and there are a large amount of sales lost as a result of somebody pirating. I know that if my tweak was unprintable, I would have made more sales as I know that users are willing to pay for it. I considered incorporating DRM before but thought I was better of using that time to make my application better. It would be better to have a better application than spend time trying to introduce unpiratable DRM. Speaking in our interview, Ash was coy about how much money he has made from his apps as a result of being listed in the Cydia Store but did say that he set up a company when he realised he had to start doing his taxes. In 2010, Aaron Ash set up Ash Apps Inc. to combine all of his work into one entity. App revenues have changed Ash’s life, helping to buy a MacBook that he needed to properly start his app development, financing his trips to conferences and events including Apple’s WWDC and Google’s I/O developer events. It also helped him with his college fees, which Ash notes was “like having my own college scholarship”. With an elevated status in the jailbreak community, Ash has received job offers from numerous mobile development firms and is currently engaged in contract iPhone work which he says is “with a company that could be big”. From its inception to the current day, Cydia has proved to be a hit for iOS device owners who truly want to be able to get the most of their devices. Apple might be working hard to restrict the installations of the “app” by blocking various Jailbreak exploits that are used to open the iOS firmware and sideload Cydia, but the prominent Jailbreak teams consistently find ways around even the most technical of restrictions. With sales of iOS devices only set to boom as Apple releases its new iPhone 5 and pushes retail stores worldwide, users will increasingly look to Jailbreak their phones and tablets and install the key Cydia tool. This will prove even more lucrative for developers, who are able to make their living from tweaks and apps that wouldn’t be accepted on Apple’s App Store or even be possible within the company’s restrictive platform without a being jailbroken. The tide is shifting from App Store millionaires to the Cydia rich list – the challenge is different but the goal is the same – to extend and sell their creations. Who will be the next Cydia developer to pay off their college fees or buy a house just by helping to extend the capabilities of your regular Apple device?